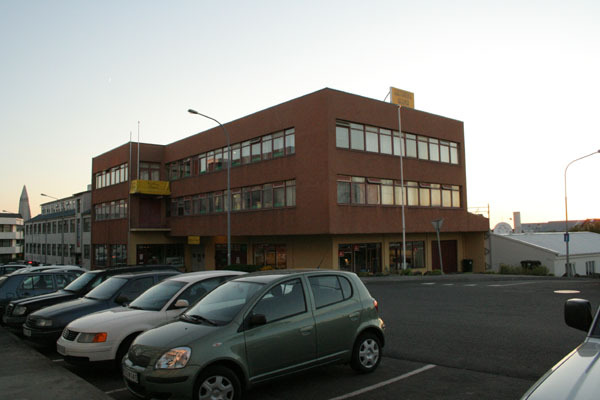 The Keflavik Youth Hostel, where we stayed on our last night in Iceland. 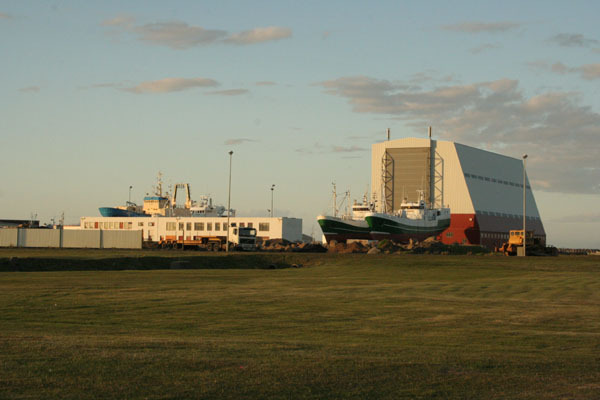 Very nice place, and only a 10-Minute drive from the Kevlafik airport, the home-base of Icelandair. 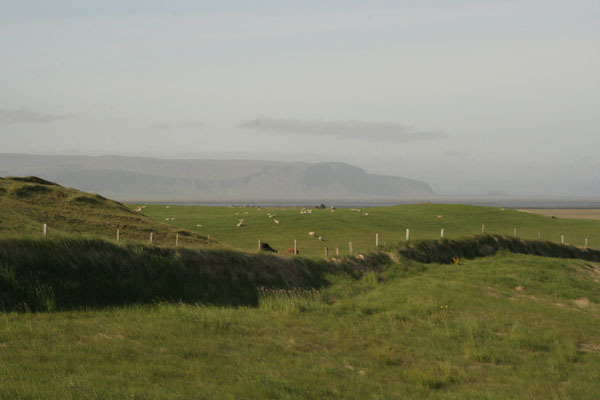 The view from the Keflavik Youth Hostel. 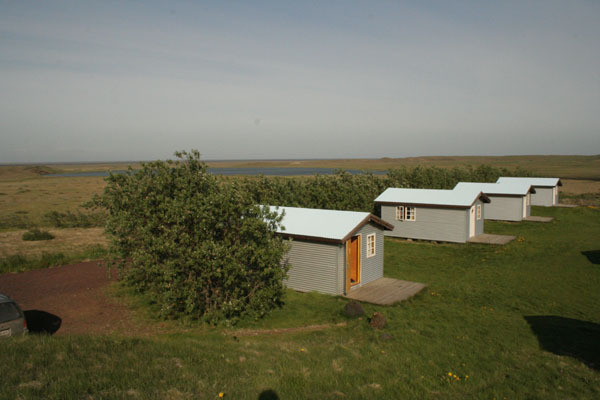 The view from behind our cabin in Efri-Vik. 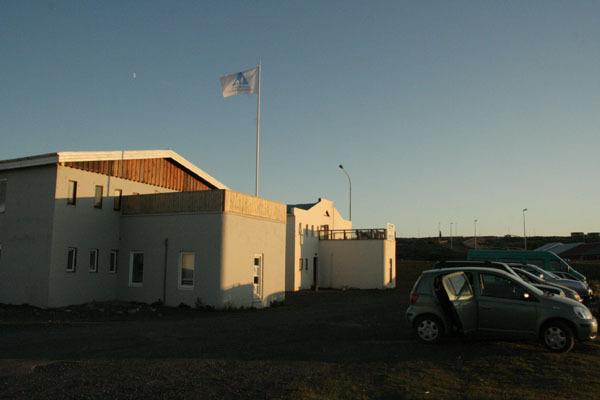 The Guesthouse Regina in Reykjavik. Regina, the owner, is super nice. 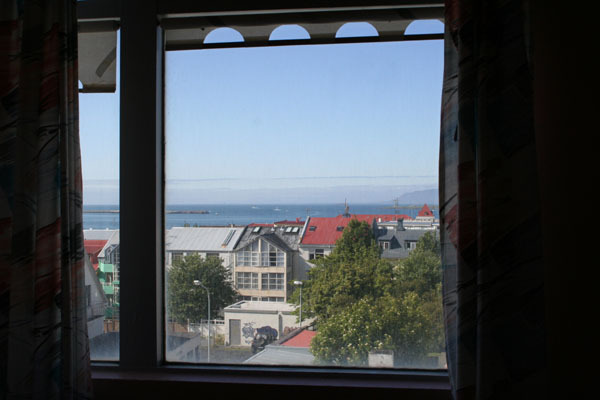 The room we got was clean, had a great view and spacious enough for the four of us. Bathrooms and showers are down the hall, and there is a large, shared kitchen. The only problem we had was finding the place, but that was mostly due to extensive road construction. The location is actually very central - you can see the Hallgrimskirkja on the left.